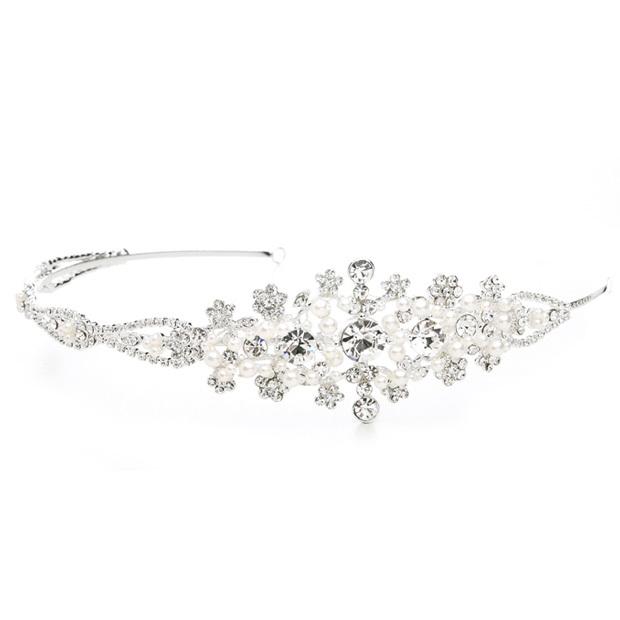 * Mariell's breathtaking wedding headband 12" features a side design of soft cream baby pearls and genuine Crystals with an elegant rhinestone design tapering down the sides. * The headband has loops on the ends so it can also be worn as a bridal tiara. * This stunning wholesale headpiece is plated in sterling silver making it the perfect finishing touch for any weddng hairstyle. * The side design is 3" L x 1 1/2" w.